Home Articles Ask Amanda Ask Amanda: What if Your Landlord is Abusive? Q: Hello. I'm a 60-year-old woman with multiple sclerosis. My landlord has been terrorizing me. He regularly curses at me, berates me and says he’s “putting me on notice” for talking behind his back. He yells at me if I do even one load of laundry a week and he trampled a small garden I put in. This sounds like an incredibly stressful environment to live in. Of course, my first inclination would be to tell you to get out of there as quickly as possible, but you said that finances are a barrier to doing so. I can understand that. This is actually why many survivors of domestic abuse find themselves trapped with an abuser—they simply don’t have anywhere else to go. 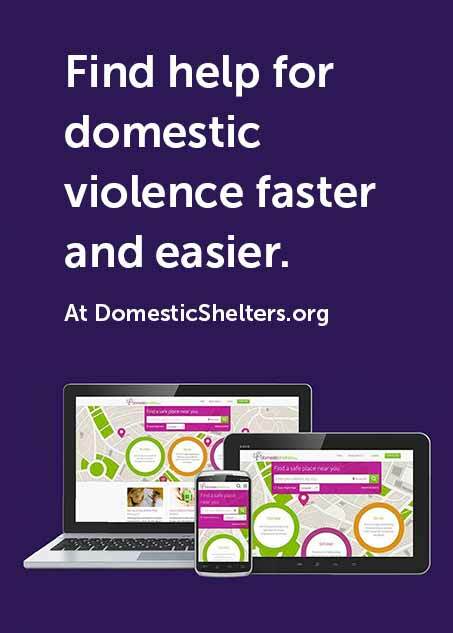 If you are concerned about your immediate safety, however, I would encourage you to reach out to a domestic violence organization near you and inquire about emergency shelter, at least temporarily, until you figure out a new place to live. While the landlord is not your partner, it sounds like there are shared spaces where you are. In essence, you are cohabiting with him and he could be considered a domestic partner, like a roommate, and thus a domestic violence shelter may say this qualifies you for assistance. If not, they should have referrals to other emergency shelters that help all populations. You may also find it helpful to look at this list of financial resources for individuals with multiple sclerosis on the National Multiple Sclerosis Society page. You may want to consider calling one of them and inquiring about finding help with rent assistance. In particular, you may be interested in this online brochure regarding finding accessible housing. But, back to the situation at hand. I asked Domenick Tiziano, creator of Accidental Rental, a blog about rental properties, for his input on abusive landlords. He says you should definitely be documenting every interaction you have with this person, in detail, including why you feel unsafe. “Every tenant is entitled to ‘quiet enjoyment’ of their rental even if their lease doesn't explicitly state this,” says Tiziano. “Usually this means free from noises and unwanted intrusions but it can also mean free from an abusive landlord.” Documenting the interactions like you did in your email above, including the dates they occurred, will show a pattern of abuse to a judge, should this ever go to court. This should allow you to break your lease without financial consequences. File a complaint with your local government and cite abuse and harassment by the landlord. Apply for an order of protection. This will be most useful as you move out or afterward, to prevent further harassment. If you share a space with your landlord, a protection order barring him from interacting with you wouldn’t be feasible. If your landlord is providing federally funded housing, report him to the Department of Housing and Urban Development at 800-685-8470. Landlord harassment has become such a widespread problem that many states now have their own laws to protect renters. You can find your individual state laws for renters here. Granted, none of these steps are instant or easy, but in the long run, your safety and peace of mind will be worth it. We hope that you don’t give up and know that you’re not alone. For more resources on taking care of yourself during this time, you may want to read this previous Ask Amanda column where I talked to a woman with a disability enduring abuse who felt like she didn’t have any support. Ask Amanda: What Is Femicide?